The most daunting houseplants out there are orchids. We have people stop into the shop all the time asking about the best way to care for them. People tend to be worried or intimidated about taking care of these beautiful plants. I’m here to tell you that you can do it! Don’t be scared; be excited! Orchids aren’t difficult to take care of, they’re just different than most houseplants that you might be used to. With proper care, some orchids can bloom for months at a time and live a very long life. Light – There’s a misconception that orchids need lots of light. While they do require some light, they don’t require a heavy dose of direct sunlight. The latter will burn the leaves of your orchid as well as distort the colour. The rule of thumb is keep your orchid near a window, not directly beside a window, indirect sunlight is the key. 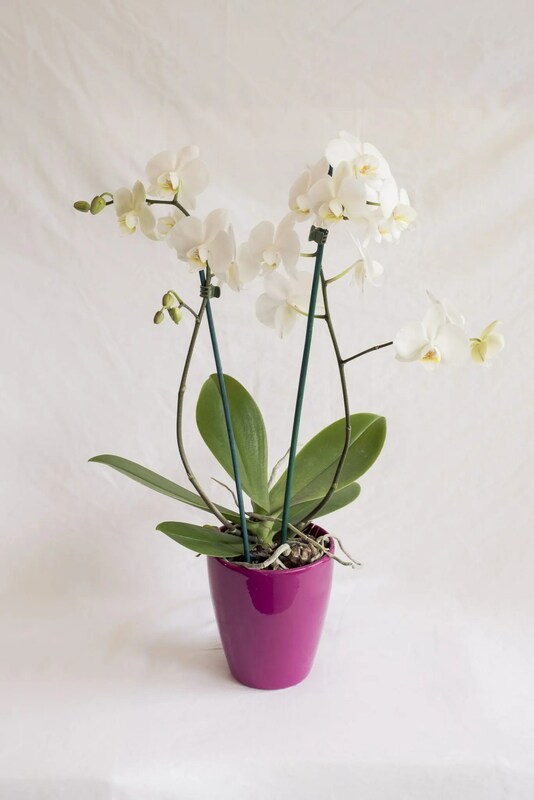 Watering – Orchids should only be watered about once a week. It’s best to allow them time to dry out. When watering, you should allow the water to run through the bottom of the pot. If you keep your orchid in a pool of water, the roots will rot and the life of your plant will be cut short. 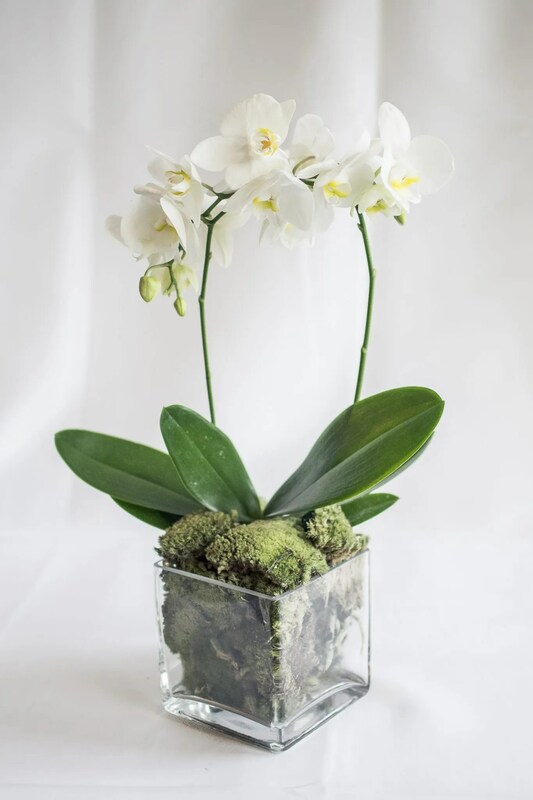 Some people like to place their orchids on a humidity tray (a saucer or cookie sheet filled with rocks and some water), or spritz every morning. Mix – Orchids love to feel the air on their roots. They naturally grow high in the trees, not in the soil. The mix that your plants come potted in allows the water to run through and allowed air to the roots. While you should never add soil to your orchid pots, moss is fine as it still allows the roots to breath. Blooms – Orchids can bloom from around 2-6 months depending on the care you give it. Once the last bloom falls, you may see the stems start to shrivel up. You can either cut back the stem to the first notch, or cut right back to the leaves. 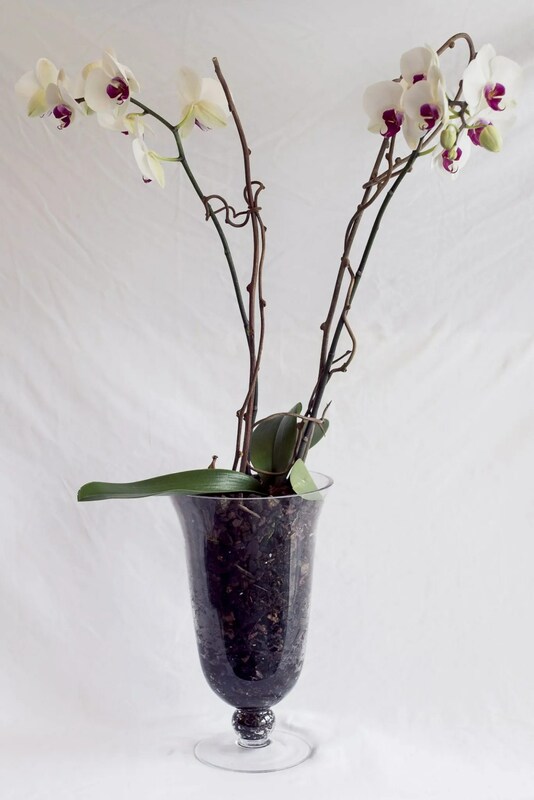 By doing so, you are allowing your orchid to concentrate on rebuilding its roots and grow new stems. This is the time to place your orchids in a cooler location for 1-2 months. You should start to see a new stem growing in that time period. See…not so scary! 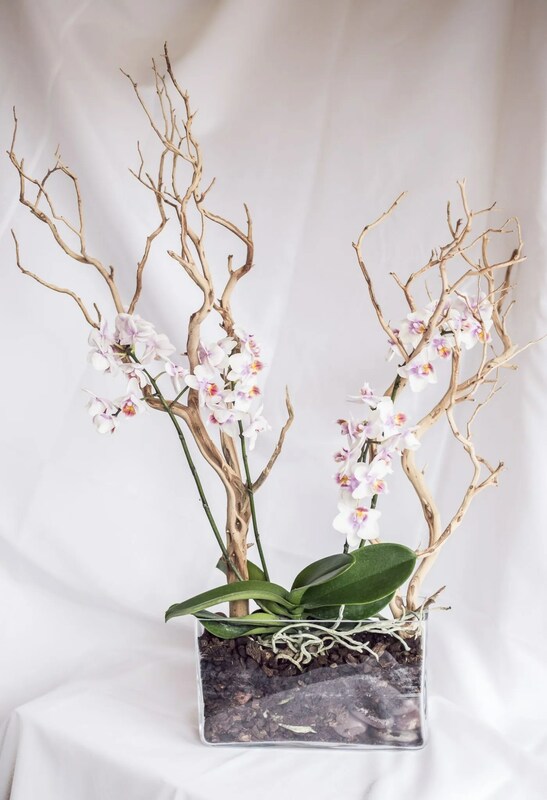 With some patience and the tips outlined above, your orchid should reward you with some gorgeous new blooms. Feel free to leave us a comment or ask us more questions!